Y is for Yes: be agreeable! This series is an alphabetical exploration of 26 options for living well, despite everything. It answers the question–How can we live well, despite problems? 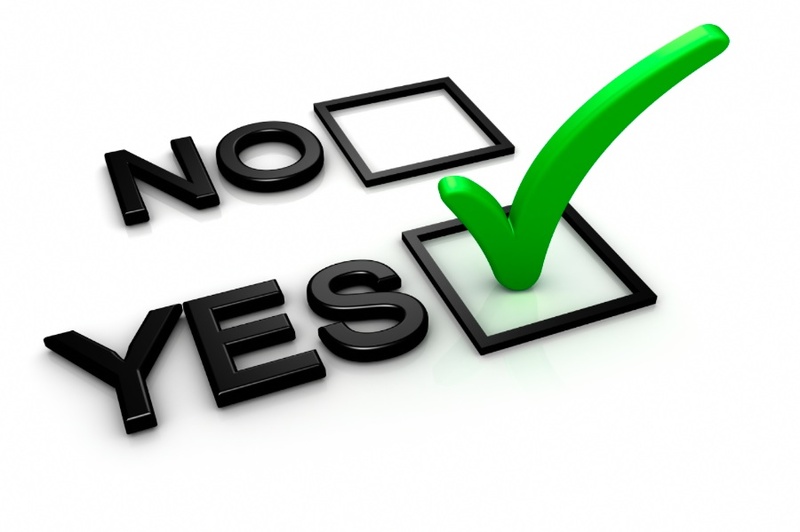 Say Yes frequently; in other words, be agreeable. That is not to say that I must always agree with you (that would make me a doormat. There are times, seasons, and occasions where it’s right to say NO!). To be agreeable reasonably, is not to always say Yes, but to be ready and willing to agree, to have a mindset that is pleasant, amiable, likeable, sympathetic, warm, considerate, kind and gracious. When I actively listen, with an attitude that you have a point of view worth considering, I am being agreeable. Let’s agree to prefer cooperation and harmony over antagonism and suspicion. Okay? (Say yes!) How do you minimize unnecessary contentions and quarrels? I agree with being agreeable. I also think a person needs to evaluate whether or not they are giving in on too many things just to keep the peace – I was long into my adult years before I realized that I had been doing that all my life. People around me weren’t happy when I started to say “no” on occasion! Interesting that you mentioned suspicion, because I frequently have to deal with someone who is very suspicious of anyone or anything. I know that comes from having been taken advantage of in the past, but it is very difficult to accomplish things working with such a nay-sayer. Again, one must exercise their free choice of saying “yes” or “no”, with “yes” being “your opinion is as valid as mine” rather than always knuckling under with “okay, we’ll just do what you want”. Exactly, Darlene. The balancing trick is to be open to consideration of the other’s opinion while maintaining belief that I’m capable of choosing, and obligated to choose, what I believe is the best/right way to proceed. I found the same thing – when I (finally!) started asserting myself, people acted like “who let YOU out of your cage?” I really had to persist and it did get to the disagreeable stage. I hope I’m more centered now – and I certainly don’t want to treat others and their views the way I had been treated. Well I certainly do AGREE with you Tracy 🙂 I think the world would be a much easier place to navigate it people were more focused on cooperation and harmony. Personally, I find that sometimes I can make myself too agreeable in certain situations. For me it’s actually more of a struggle to stand up for myself and say “no” sometimes. Thanks for commenting. I’m going to link to that post. As a hater of confrontation, I know how hard it can be to say no. But you also have to be careful to not say it automatically. 🙂 Agree if you can, without sacrificing your own agenda. Saying no is hard for us “nice” women, I think. But you’re write, saying it automatically, doing anything automatically, takes away our freedom to consciously choose what’s right/best. I’m with you, Jill. I’m extremely non-confrontational by nature, to the point where I used to let people run roughshod over me. I’m still non-confrontational, except in instance when I must address and issue because of moral or health reasons. But even then, I try to do that with an agreeable smile. I like to say Yes to my husband as often as possible. If not possible, then we negotiate. Indeed — that is the way to make a marriage work. It’s difficult to live with a partner who is constantly saying, NO! Sometimes it takes all I can do to say No when I just can’t do more. So I loved your qualifier about listening and being open, ready and willing to agree. Thanks, Marylin. Sometimes it’s just not right to agree. It’s the attitude that matters, most, and I think the person hearing No feels less rebuffed or insulted when the person saying it has first listened and considered. You’re so right. There’s really no point sharing an opinion with someone who isn’t interested in “listening.” It only leads to anger and frustration.